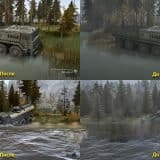 Are you crazy about the Spintires: MudRunner game? Then you have landed on the right site – we will provide you with loads of information. In Spintires: MudRunner news category you will find everything you need to know about the game and its specialties. Everything is changing so fast in gaming world that you simply cannot afford missing some useful insights. That’s why encourage you taking a look at our Spintires: MudRunner news section from time to time. In this way you will stay updated and informed. This can help you understand a game much better – this means you will improve your skills and become even more experienced player. Be the first to get the freshest information – we collect and renew Spintires: MudRunner game news constantly to help you achieve your goals. After gaining so much knowledge, nobody will be able to overrun you. Feel empowered by the various tricks that you will find on our site – this can really pave your way to success. 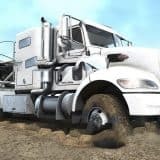 Surprise your opponents with new techniques – Spintires: MudRunner game news will help you grow as a player. Additional information is always beneficial – this is how you can improve your strategy and try new tactics. Development is essential, if you want to become a leader, so don’t wait anymore and get to know new things. You will learn that everything is possible and will be able to prove it! This is a chance not to miss, so dig in the information we have provided in this category and take the best of it!